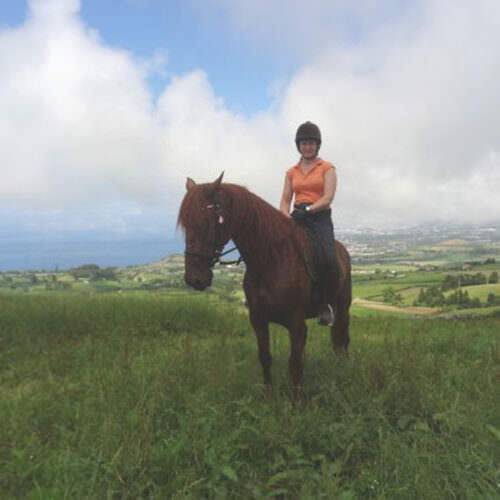 Olwen's passions are horse riding and travel and she set up In The Saddle in 1995 after a career in accountancy in Dublin and London. Since then Olwen has ridden all over the world on almost all our riding holidays, enjoying every one. 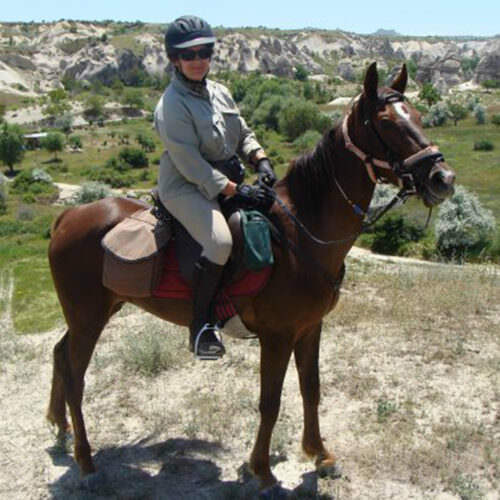 Olwen has competed in Endurance at distances up to 80 km although more often can now be found riding with her children. She has always found it very difficult to pick out one holiday as her favourite. 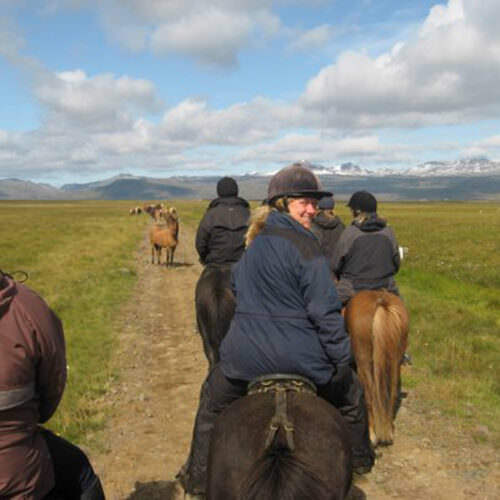 Montana was her first love; Riding with wildlife in Africa is a really special experience; crossing the Namib desert was the most challenging; riding an Icelandic horse at a tolt is the most fun. "There is a special magic to traveling on horseback. You ride in some truly spectacular landscapes without another soul in sight and quickly leave all the worries of your normal world far behind". 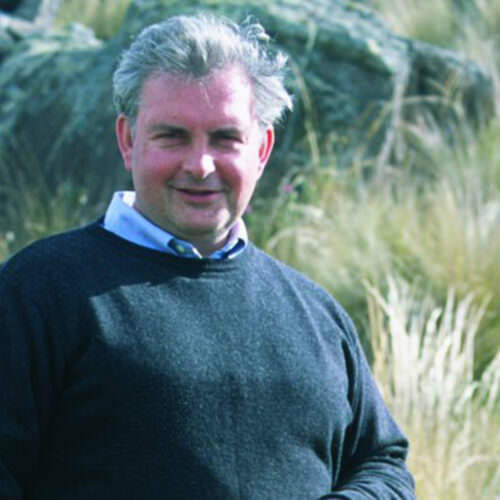 James trained as a geologist and worked in the oil industry prior to joining Olwen in the business in 1997. Since then he has visited many of the African safaris, North and South America and throughout Europe. 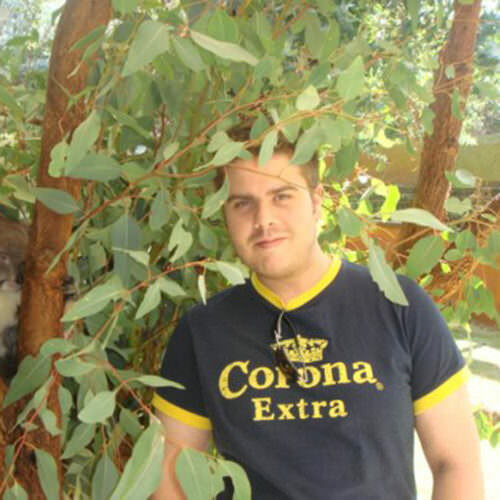 His favourite rides are the wilderness expeditions and the horseback safaris in Africa. The way that the horses interact with the wild animals on safari adds an extra dimension to the ride; making you feel more like a participant rather than a spectator. James is the brains behind our computer systems and website. 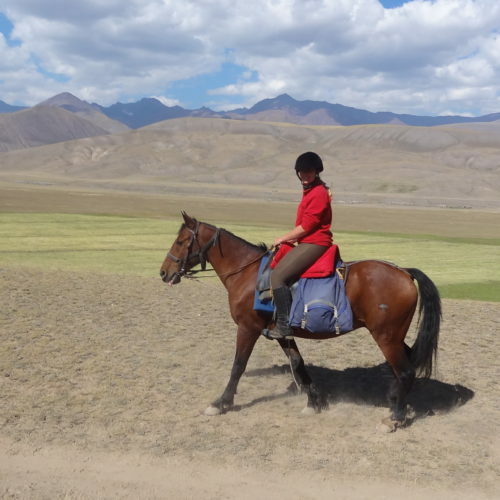 "Using the horse as a way of getting to remote and beautiful parts of the world is what makes riding holidays special. The scenery changes at a faster pace than on foot and having a higher vantage point means you see things that walkers would often miss." Chris studied at Warwickshire College of Agriculture and following teaching appointments in Italy and the UK she was accepted into the Royal Military Academy Sandhurst. Chris was an army officer for seven years, during which she led adventure training exercises in various countries including Norway and Jamaica. On leaving the army she managed an equestrian centre before taking up positions with the ILPH (now World Horse Welfare) and the RSPCA. She also holds the BHSI(SM). In her spare time she can usually be found chasing her working springer spaniels around the woods! Since joining In The Saddle in 2003, Chris has ridden in Botswana, South Africa, Iceland, Finland, Italy, Montana, Canada, Sweden, Wyoming, Tibet, Arizona, Colorado, Mongolia and Israel. She finds a special fascination with the wilderness rides of Iceland, Tibet and Mongolia. 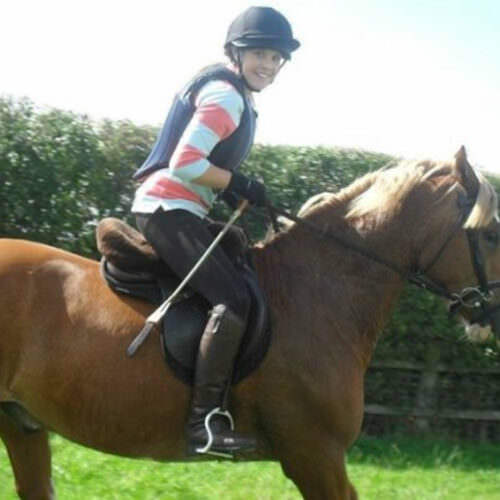 Abbie began riding in Scotland at the age of three and has enjoyed a wide range of equestrian activities ever since. She gained a BHSPT qualification during her year out, before reading Politics at Loughborough University. In 2016 she attained a Certificate in Professional Marketing from the Chartered Institute of Marketing. Since joining In The Saddle in 2006, Abbie has ridden in Spain, Romania, France, Hungary, Costa Rica, Brazil, Peru, Ecuador, Colombia, Chile, Argentina, South Africa, Namibia and Botswana. Closer to home she enjoys hacking and Riding Club activities on her part-bred Welsh pony. Sarah was a fully qualified financial advisor for Lloyds Banking for 12 years. Deciding to follow her heart’s desire to work with horses she undertook a complete change of career and left Lloyds to become a work rider for a professional point to point yard. She later transferred her skills to work for the Ludlow Hunt, having a yard of 13 fully fit hunters under her sole care. 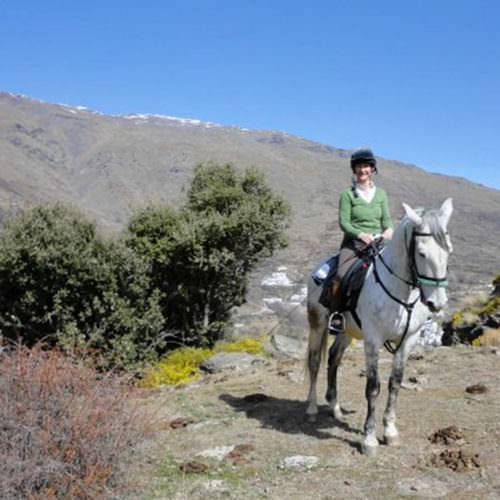 Since joining In The Saddle in 2010, Sarah has ridden in Spain, Botswana and South Africa – however she has also extensively travelled to destinations including Chile, Peru, India, Kenya and Tunisia to name but a few. 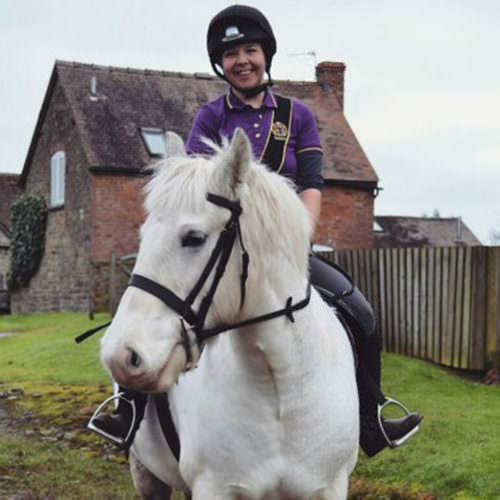 Rebecca grew up in Shropshire, joining her local pony club at a young age she went on to compete in most disciplines including mounted games, show-jumping, dressage, eventing and polo cross. 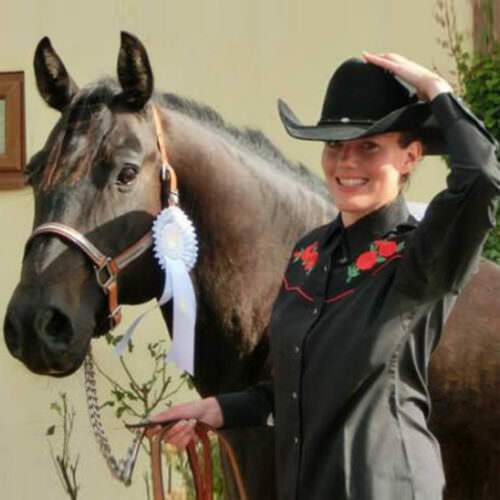 She has represented the United Pack Pony Club at the National Dressage Championships, the Polo Cross Championships and also at the Royal Welsh Show. Becky prefers to event and has done so at an Intermediate level, she is hoping to make an eventer out of her homebred foal! She has two horses that she competes regularly and during the winter months she can be found following the United Pack hounds across the hills and valleys of rural Shropshire. 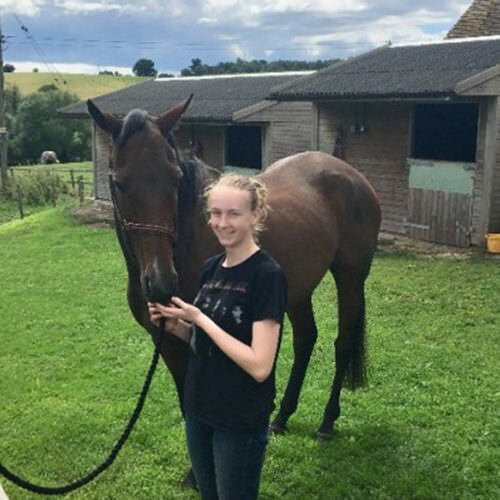 Becky also loves to travel, going on an expedition to Morocco whilst in school and after completing her A-levels she took a year out and travelled around Australia working as an au pair and also on an Arabian stud. Lucy has always loved animals but especially horses. Before starting at In The Saddle she worked on the livery/riding yard where she had learnt to ride as a child, whilst also studying Animal Management and Welfare at college. Lucy currently has an Irish Draught cross that she events and hunts and an older horse for hacking. She does not specialise in any particular section of riding but instead enjoys having a go at everything. If Lucy is not hunting at the weekend, she will be out on the shoot or training her Cocker Spaniel. Other than animals, Lucy has always loved to travel. She planned her first holiday when she was 11 with a friend for a riding holiday in France. Lucy then carried on to embarked on a trip around Europe, a study tour in Africa and yearly skiing holidays. Hannah started riding at a young age. She spent her whole childhood helping out at local riding stables to have a lesson at the end of the day. She saved up and got her first horse at the age of 18, he was a big thoroughbred cross and taught her a lot, mainly how to stay on! She now has a young cob who she brought as a 3year old and has backed and trained herself. ‘Piggles’ her horse is a jack of all trades and competes locally for her Riding Club in Showing and Dressage. In the winter she can be found on the hunting field usually pulling Hannah's arms out of their sockets! Hannah started her career teaching gaining her BHSAI and BHS4. Then she was lucky enough to work for an up and coming dressage rider who had amazing young horses. Hannah was very fortunate for four years to groom at some amazing venues including the National Dressage Championships. 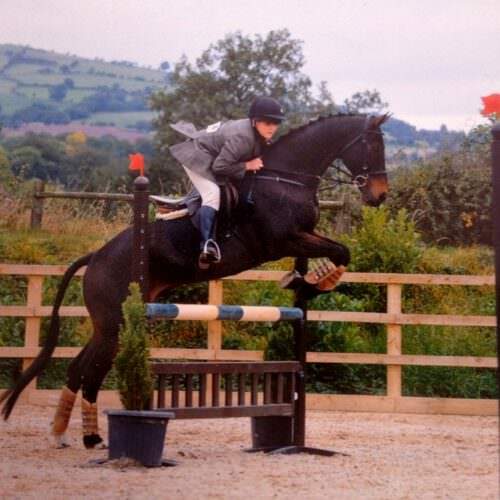 Claire grew up in Northern Ireland and has been an avid horse enthusiast from a young age. She studied Media and Communications at Goldsmiths University of London, and in her spare time rode horses in Hyde Park and had a horse share in North London. During one summer break she volunteered with Mozambique Horse Safari for a month and had a fantastic time with Pat and Mandy Retzlaff. After graduating, she came back home to Northern Ireland and worked for Shelter NI during the week, spending every weekend leading trail rides in the Mourne mountains. A highlight during this chapter of her life was to go with a charity group to a ranch in Colorado, raising funds for the Southern Area Hospice. She spent one summer interning at a western stud in Ireland and made the decision to follow her dream of working with horses full-time and headed for Georgia, USA to work on a ranch. Following this she moved to Germany to work for European champion reiner Philipp Martin Haug before joining In the Saddle. Imogen started riding at a young age, joining in with pony days and riding lessons at her local riding school. From here she volunteered at a local livery yard in exchange for riding alongside school. 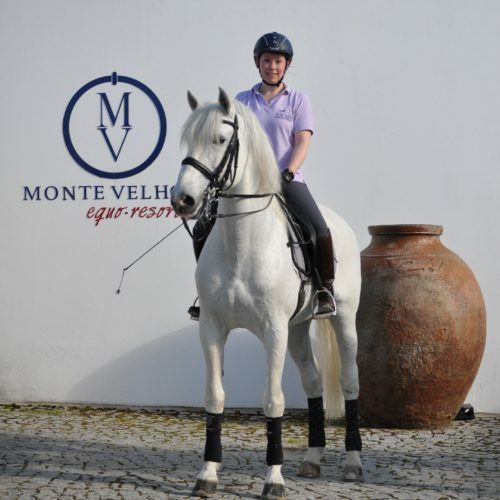 Whist at Reading studying for a degree in Zoology, Imogen joined her university riding club and partook in regular flat work, dressage and show jumping clinic alongside riding lessons and gymkhanas. After university she travelled to New Zealand for 6 months working on private stud yards and trekking centres, helping to school and jump the horses and ponies, keep hunters fit for the upcoming season and lead treks through the New Zealand countryside. Upon her return, Imogen worked at Tregoyd Mountain riders trekking centre for a summer season before joining the In The Saddle team. She now has a loan cob called Bob who she spends her spare time hacking and show jumping. Leah started riding at a young age. Her auntie would take her for riding lessons and would then go and help with her horses and that’s when the addiction started. When she was eleven years old her parents brought her an unbroken section D who mainly taught her how to stay on! She now has two horses which she has had for eleven years and has competed and hunted on but they’re now enjoying a relaxed life hacking round the forest. In the past Leah has worked on livery yards and stud yards. She is a qualified member of the Association of Accounting Technicians but later realised this wasn’t the right area of work for her and decided to travelled alone to Australia for six months working on a race yard, dressage yard and show jumping yard for Sally & Robert Kirkwood and George Sanna. Lois has been horse obsessed since birth. After finally having her first riding lesson aged five, she insisted on telling everyone that she would be the first lady jockey to win the Grand National. She helped out at her local riding school from aged twelve, riding her loan pony whenever she had time. On leaving home, she attended the foundation course at the British Racing School in Newmarket. Lois then went on to work for a well-established race yard in Gloucestershire for two years. This is where she fell in love with her trusty steed and just had to have him once he retired. After a two and half year stint at an agri-feed company, Lois wanted to get back to horses without the task of battling the British weather! Andrew joined In The Saddle in 2010 and is our company accountant. He is a member of the Association of Chartered Certified Accountants and Association of Accounting Technicians. Andrew has no intention of getting on a horse so please don't ask him anything about riding. He couldn't tell the difference between a Shire cross Thoroughbred and an Anglo Arab, but he does know his way around spreadsheets and is a dab hand with a calculator. He does like to travel and has recently visited New Zealand, Australia and West Coast USA.